Whitsunday luxury charter business awarded exclusive contract with Hayman Island by InterContinental. Ocean Dynamics, a luxury charter tourism company, has been awarded an exclusive contract with Hayman Island by InterContinental, to provide dive and motorised water sport services to the island. The company recently achieved the status of Green Travel Leader with ECO Tourism Australia in alignment with its environmentally-friendly ethos. With Hayman Island by InterContinental ideally positioned as the northern-most island in the region, these exclusive activities and journeys will bring the best of the Whitsundays directly to the island. Ocean Dynamics will provide an extensive selection of dive options to delight all ability levels, from introductory to advanced. Dive training courses will be available with expert instructors to bring the kaleidoscopic beauty of the Great Barrier Reef to those who have never dived before. The Queensland-owned charter business has extensive local experience within the Whitsundays, with local guides and instructors delivering an intimate excursion to the Great Barrier Reef. Ocean Dynamics have custom-designed a 22 metre dive vessel with lounge-style seating. 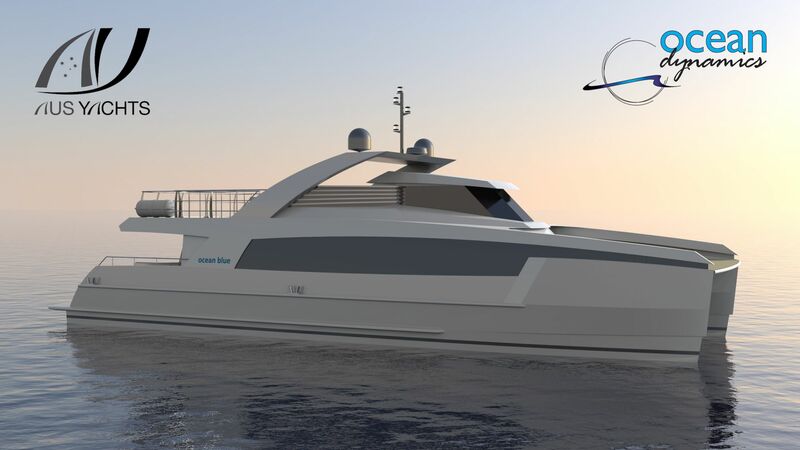 This brand-new vessel with state-of-the-art facilities, Ocean Blue, will be launched in early 2019, with an identical vessel launching shortly after. Other tours will also be on offer, including daily tours to Hill Inlet and the world-famous white silica sand of Whitehaven Beach. Ocean Dynamics also offer luxury charter, and guests at Hayman Island by InterContinental will have the freedom to choose their own itinerary with an onboard crew. The contract awarded to Ocean Dynamics is great news for the local Whitsundays economy, with 40 new jobs created in positions at both Hayman Island and Airlie Beach. In addition to positions created for the Hayman Island by InterContinental contract, Ocean Dynamics also commencing operations of a new state-of-the-art dive training centre at Airlie Beach. Launching in 2019, this dive centre will complement its operations with a focus on training dive instructors, who as part of the training packages on offer, will be provided with employment opportunities and work experience assisting with Ocean Dynamics and Hayman Island diving.